Women (and men, too), have been searching for a “cure” for wrinkles for several centuries. The search started long before the FDA approved using Botox injections between the eyes for wrinkle reduction in 2002. Men and women are still searching for that magic wrinkle cure. Botox is as close to being the magic fountain of youth in a syringe as we’ve ever gotten and it surely helps. The problem is that Botox injections are expensive, and the effects don’t last very long. There are alternatives. Serums have been developed that contain plant extract and animal oil for the purpose of prolonging the effects of Botox injections. Two of the most popular of these serums are emu oil and tea extractions. These serums don’t exactly replace Botox, but they do make the injection remain effective for a longer period of time. Collagen: Collagen is a naturally occurring substance in the body, but we lose it as we age. 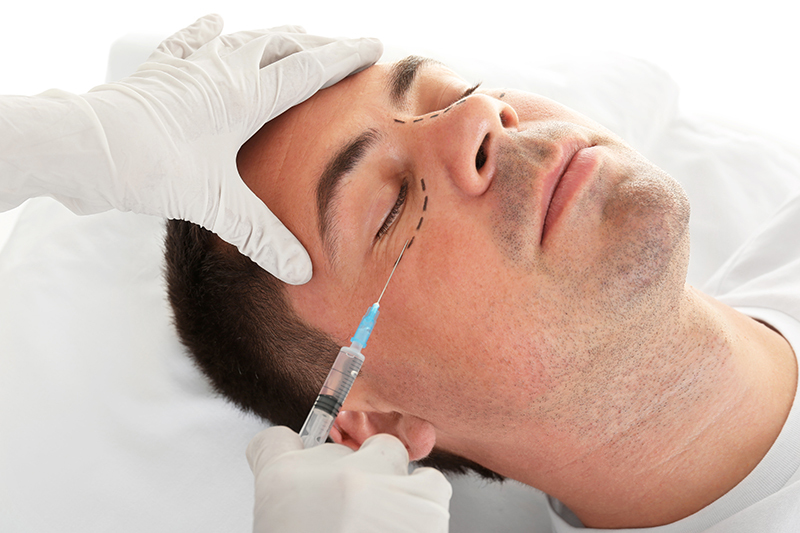 A series of collagen injections are used by doctors to raise the area being treated and smooth wrinkles and creases. Collagen injections are given using a very fine needle. A local anesthetic is usually mixed with the collagen, but it is rare for a patient to require additional pain medication. There is a possibility of an allergic reaction to collagen injections in people who are allergic to beef or beef products, and these people should not receive collagen injections. The positive visual results of collagen injections usually last about six months. Restylane: Restylane is the newest wrinkle filler on the market. Restylane is derived from hyaluronic acid, the same as collagen, but it is not animal-based, so there is rarely an allergic concern. Restylane has unique uses other than wrinkle reduction. It can be used to fill in wrinkles and creases in the face, and restylane can also be used to augment the chin, the cheekbones, and the bridge of the nose. Positive visual effects of restylane can last up to a year.